Here's a painted sign from cafe in Albuquerque, NM. 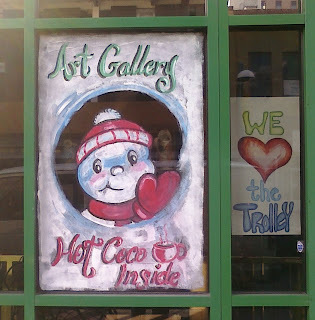 There's nothing wrong with providing free coco...it's just that the snowman is a little too sickenly sweet. Is this Casper the Friendly Ghost? By the way, they love the trolley.